Title: The Sheaf-Binder (after Millet). Author: Vincent van Gogh (1853 - 1890)*. Dimensions: 44.5 cm x 33.1 cm. Current location: Van Gogh Museum, Amsterdam (Vincent van Gogh Foundation). 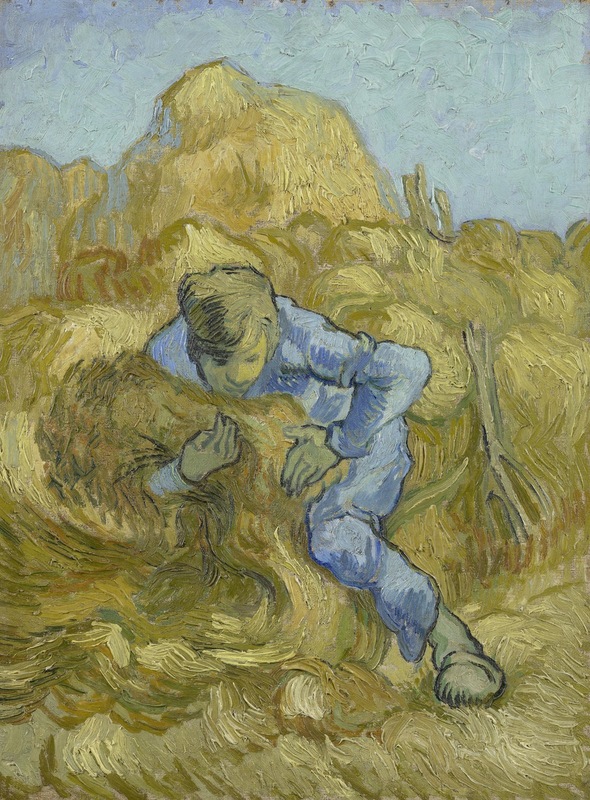 In Saint-Rémy, van Gogh became interested in making copies in oil paint of prints by or after the works of those artists who represented for him the pantheon of modern art - Millet*, Delacroix*, Rembrandt*, and Daumier, Doré and the illustrators. He explained these copies in many ways. At one level, in the absence of models, he used them to practice his figure drawing and painting. At another level, he stated that by painting them in colour he was attempting to bring these artists, and what they stood for, before the public once again. This also enabled him to update them by demonstrating what he identified as his contribution to the tradition of modern art - colour. 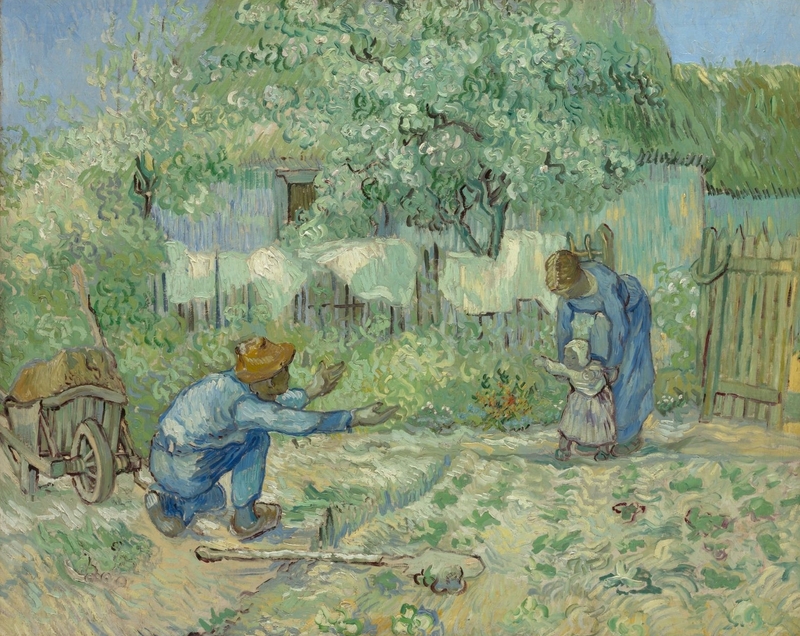 For the copies, van Gogh used prints from the collection he and his brother had made. 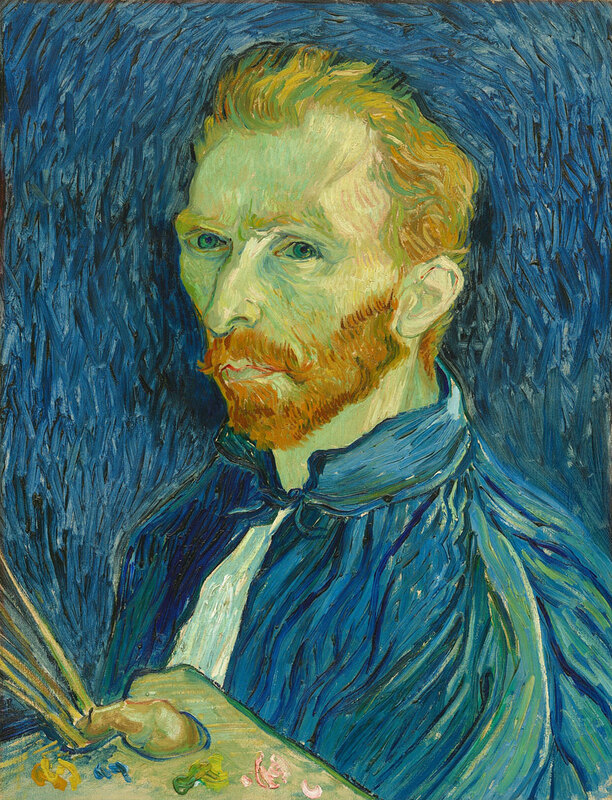 In fact van Gogh's paintings were not copies, rather these works were paintings in their own right.